The September of Taste in Paraggi is a gastronomic event of Giorgio Chiesa and Luigi Taglienti, with chef friends of the Michelin world. September 2010. The end of the summer is approaching and on the beach nearby (beach of Portofino) Giorgio Chiesa, patron of the stared Delle Antiche Contrade in Cuneo (www.antichecontrade.it), and the chef Luigi Taglienti decided to invite in their maritime restaurant Eight Restaurant some chef friends to try out four different nights. 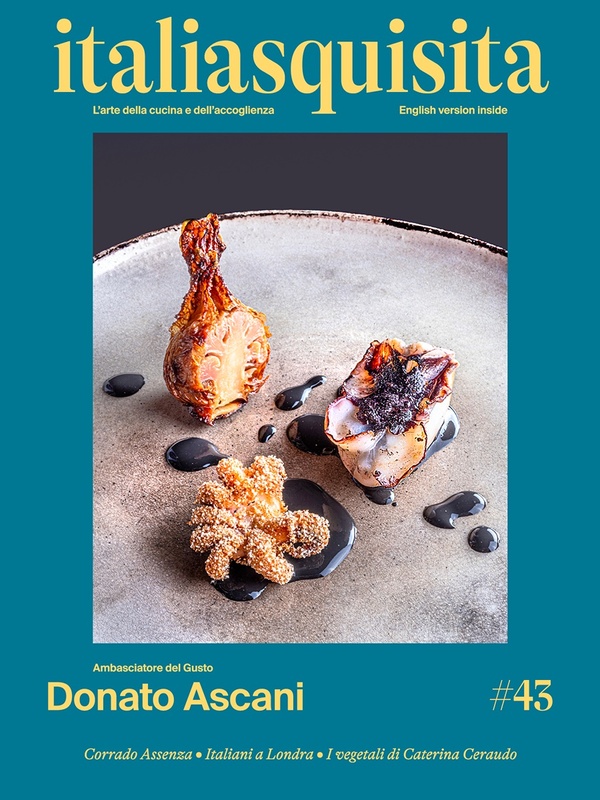 The kitchen of Luigi Taglienti and Roberto Minnetti will open its doors to distinguished stared colleagues who, by presenting the dishes of the culinary tradition, will discover the Piedmont and Piacenza regional particularities. Thanks to the "September of taste" at 5 stars, the name of the project, the Italian Riviera and in particular the exclusive beach of Portofino will become a symbol of excellence of Italian cuisine. Five the Michelin stars that will impress the palates of the Ligurian coast. It will be Massimo Camia from the La Locanda Borgo Antico in Barolo to open Monday, September 6th this festival of taste. Tuesday, 14th guests will find dishes by Maurilio Garola from the La Ciau del Tornavento in Treiso, Monday 20th September will be the turn of Walter Ferretto, chef of the Il Cascinale Nuovo from the Asti Island.The protagonist of the last of these gourmet appointments scheduled on September 27th will be Filippo Chiappini Dattilo of the Antica Osteria del Teatro in Piacenza. Along with these distinguished colleagues co-protagonists, there will be the touch and the refined talent of Luigi Taglienti and his kitchen brigade. Five exceptional chefs at this event in Liguria, the home of Giorgio Chiesa and Luigi Taglienti to create a concert dedicated to the creativity and to the tradition of a high level cooking. The "September of taste" at 5-star will offers a unique opportunity to enjoy the beautiful terrace of the Eight Restaurant overlooking the sea. The restaurant will close in October.